Clarke: Message to MRC shareholders. Xolobeni mining: Blood titanium. 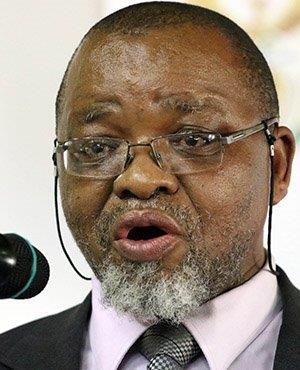 Minister of Mineral Resources Gwede Mantashe has again pushed back against criticism of mining exploration at Xolobeni in the Eastern Cape, despite claims that members of the community in the area are being ignored and that mining would harm the area’s ecosystem. The area relies heavily on its tourism sector, which is supported by the natural dunes there. Mining companies looking to mine there have been accused of bypassing processes and holding secret meetings with the minister to allow mining to take place. However, Mantashe insisted that Australian mining company Mineral Commodities’ activity in the area was limited strictly to exploration. He said no company had been granted a licence to mine in Xolobeni and that no company was mining there currently. "The reality of the matter is a South African delegation went to a summit known as Mining Down Under. Our message was that South Africa is a good investment destination. We spoke to many investors, not just about Xolobeni. We met various mining companies and encouraged them to invest," said Mantashe. When challenged by opposition MPs, Mantashe maintained that the consultation process was being handled correctly because Xolobeni mining aspirations had been on hold for over a decade. "The Xolobeni issue has been on the table since 2002. It is my commitment that that issue must be concluded - the sooner, the better, rather than to leave it hanging," Mantashe said. Mantashe pushed back against EFF MP Yoliswa Yako’s questions about community consultation by saying those in support of mining investment in the area were being intimidated into silence. He repeated explanations that a recent department trip to Australia was to attend a mining summit and not to conspire with Mineral Commodities to railroad mining operations on the community of Xolobeni.